Three people's lives intersect in a tumultuous yet redeeming way that none of them could have ever predicted. Jenny is a young professional from the South with an upbringing she wants to forget. She meets Roshan, an Indian immigrant who has moved to the United States with his mother, Esha, to escape family ghosts. With strong cultural tradition, Esha has devoted her entire life to her only child, both for his own good and for her personal protection from a painful past. Roshan understands his role as his mother's refuge, and from an early age, he commits himself to caring for her. But when Jenny and Roshan embark on a forbidden, intercultural relationship, all three get tangled into an inseparable web-betrayal, violence, and shame-leaving them forced to make choices about love and family they never wanted to make while finding peace where they never expected to look. Sheryl Parbhoo is a southern novelist and blogger. She was featured at the 2017 Decatur Book Festival and is a member of the Atlanta Writers Club and Georgia Writers Association. Her writings have been featured in Twins Magazine and Masalamommas Magazine, and she has been interviewed by PBSNewshour and quoted by Harvard Divinity School's Religious Literacy Project. She first became known for her blog, Southern Life Indian Wife, where she shared stories about the masala and cornbread loving, multicultural family she has with her South African-born Indian husband. 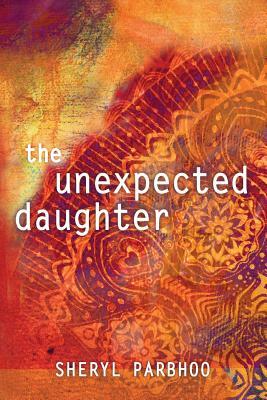 She currently blogs at SherylParbhoo.com and is at work on the sequel to The Unexpected Daughter, due to be released in Fall 2018. Coffee is her best friend. She divides her time between her family and touring with the Trio Exhibit, book signings, and book clubs. The rest of the time, you can find her at Starbucks writing the sequel to The Unexpected Daughter with a triple espresso latte in her hand. For more on Sheryl, including social media and contact information, visit sherylparbhoo.com.